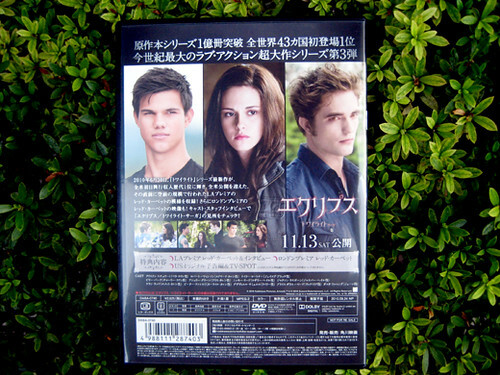 This is an advance ticket for The Twilight Saga: eclipse from Amazon in Japan. 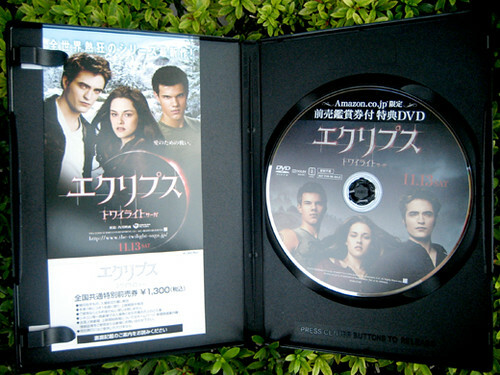 Eclipse premiere videos with cast intervews DVD is available when you purchase your tickets in advance for the Eclipse via Amazon Japan. The film starts on Nov. 13 in Japan. You can see Cast Interviews, the LA Black Carpet Premiere, the London Premiere, Arrivals and Interviews, Fan interviews, Eclipse Clips on DVD. Tent city footage is great and fun!